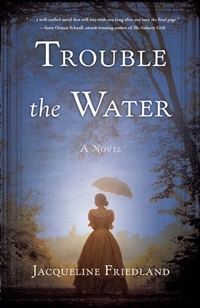 Today I'm welcoming Jacqueline Friedland, author of Trouble the Water (SparkPress, May), who's contributed an essay about researching the historical atmosphere of the pre-Civil War South. It’s difficult to be immune to the intrigue of the old South, the plantation lifestyle, the hoop skirts and debutante balls, unparalleled opulence juxtaposed with the astonishing horrors of American slavery. I struggle to digest the perversity of a government-sanctioned system of slavery, but I am utterly seduced by the heroics of those who refused to sit idly by, those who risked their own lives to fight for the freedom of others and that which they knew was right. I chose to write my first novel about the antebellum South in order to showcase the human compassion and bravery that was a bright light during this dark era, and I knew I would have to dive headfirst into the 1800s if I wanted to get it right. My foundation in the history of the American South was fair at the outset, as I had majored in United States Culture and Literature during college. I devised a plan to deepen my understanding of the time period through a form of immersion. As a lover of books, I did what I always do when I have questions: I began reading. I read every novel I could get my hands on that had a plot based in any Southern state in the years preceding the American Civil War, from Margaret Mitchell’s Gone with the Wind to Colson Whitehead’s Underground Railroad, and everything in between. Some of the most useful were Mudbound by Hillary Jordan, The Kitchen House by Kathleen Grissom, The Invention of Wings by Sue Monk Kidd, and Jubilee by Margaret Walker, to name just a few. I read one novel after another after another, and then mentally synthesized all this fiction, which allowed me to develop a broader sense for the atmosphere of the antebellum South. Feeling that I had strengthened my foundation, I then moved onto drier non-fiction and primary sources about the specific issues on which I aimed to focus. I read many accounts documenting the Underground Railroad, the life of various abolitionists, and political strife over slavery. I also read first-hand slave narratives, including accounts of escapes and attempted escapes. I scoured books about William Lloyd Garrison and other notable abolitionists of the time. I particularly enjoyed All on Fire by Henry Mayer, which was not only informative, but immensely readable. After this intense reading tour, I finally felt prepared to begin my novel, which takes place between the years 1842-1853 and delves into not only the horrors of slavery, but also heroic attempts to subvert the “peculiar institution”. Of course, additional questions arose as I wrote. How fast does a horse travel? How long does it take to cross the Atlantic by steamship? When did the steamship become a common mode of transportation anyway? For these questions, I can say thank goodness for local libraries and even google. 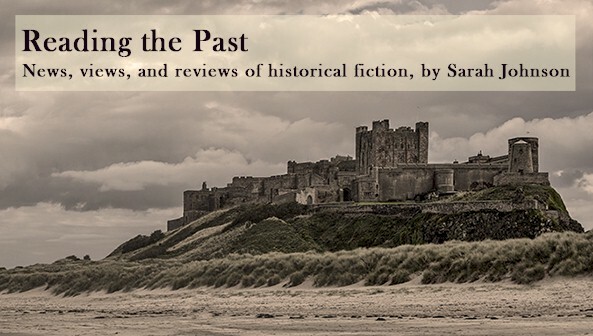 Perhaps the most useful part of my research was the professor in my writing program who understood my tendency to get lost in details, to become thoroughly engrossed in interesting tidbits about the time period, even if those details had absolutely nothing to do with my book. This professor said to me, knowing the years I had already devoted to learning my era, “Stop it. Enough. Just write your story already.” So I did.